Already proven members of the Austin independent film industry, co-writers Americo Siller and Tyler Mager make their directorial debut by paying tribute to 70’s style horror with their short film “WITCH.” The story follows a young troubled couple that finds themselves involved with a mysterious woman who puts them on a bloody and twisted path towards reconciliation. The Daily Texan was behind the scenes to capture all the blood, bile and monsters one film set could handle. 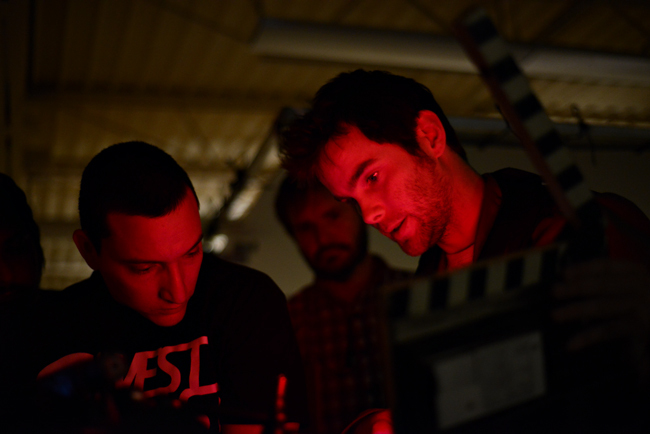 Cinematographer Oscar Garcia and Sound Mixer Kyle Graham sync the slate with camera and sound. 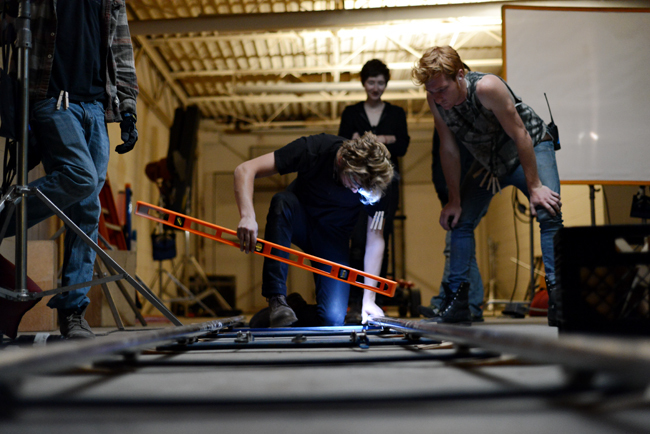 Grips Ty Eddingston and Jackson McGovern level a dolly track. 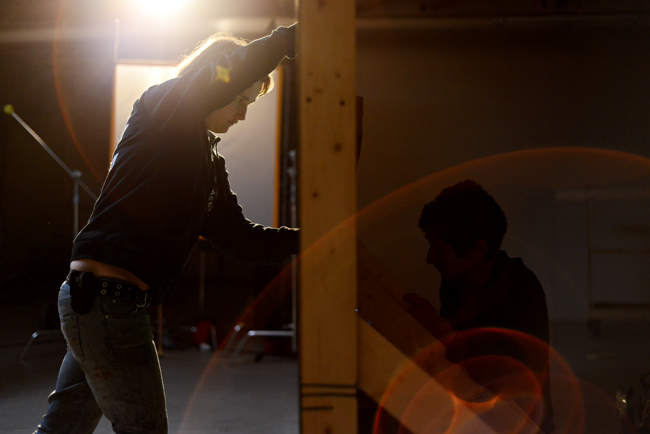 Production Designer Katherine Morter and Art Director Cara Stewart prepare a flat in between scenes. 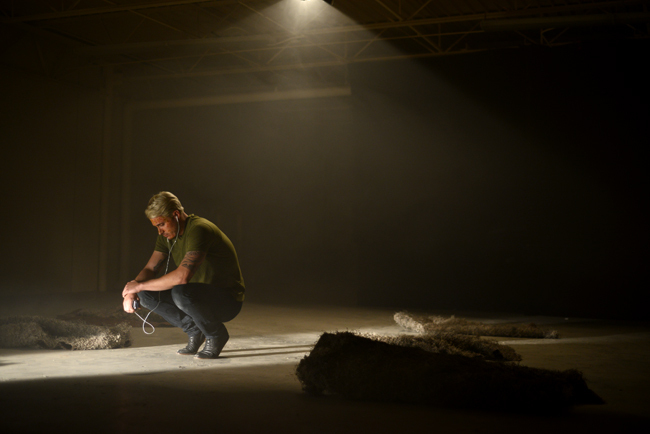 Actor Johnny Walter prepares himself for the climactic and final scene. 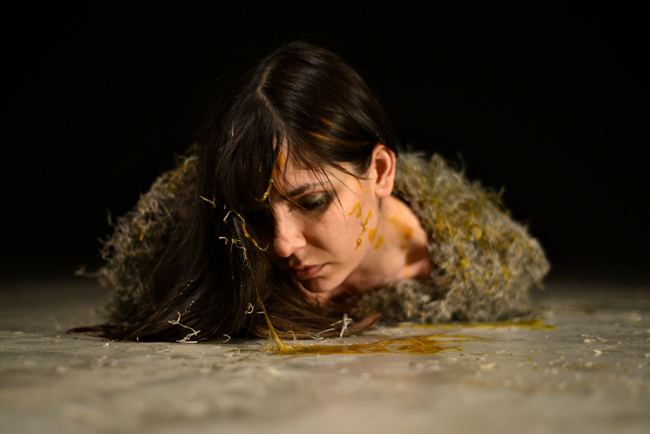 Actress Jeannie Cruz lays wrapped in a cocoon and covered in bile. 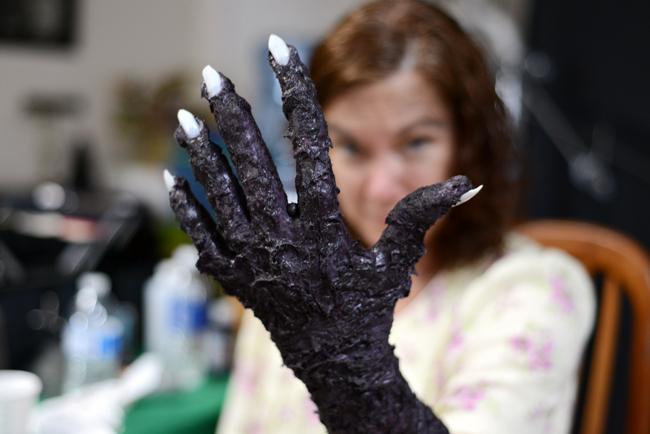 Actress Peggy Schott takes a look at her new monster hand after 3 hours of special effects preparation. Monsters Jan Duncan Weir, Peggy Schott and Cinda Donavan. 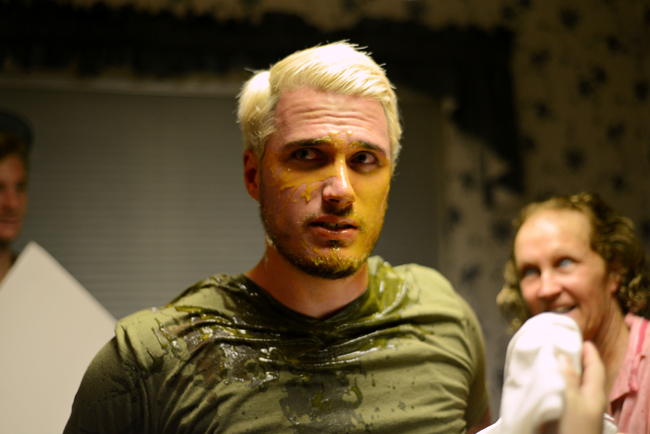 A crewmember hands Actor Johnny Walter a towel to wipe his face in between takes. Staff Photographer Charlie Pearce is a photojournalism and RTF senior.